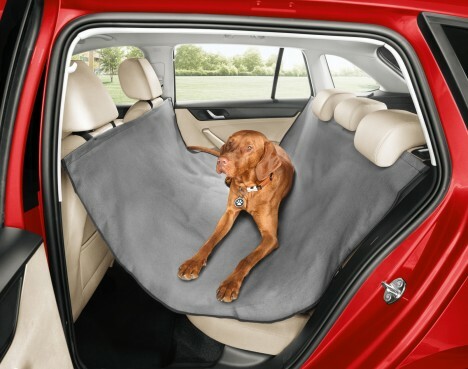 Unbuckled dogs in automobiles can be a danger to your pet passenger as well as the driver and other riders, making this snug solution a good way to keep all parties involved safer on the road. At just 30 miles per hour with a 10-pound dog, a fender bender can turn your pup into a projectile with 300 pounds of force. 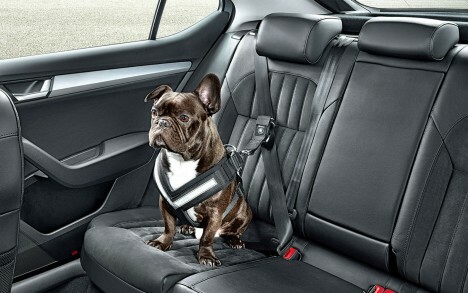 One of a number of pet-friendly features offered by Czech automaker Skoda as part of a K9 package, this seat belt provides a snug harness to reduce dog-related distractions and keep pets in place during accidents as well (the device comes in four sizes to fit various weights and body shapes). 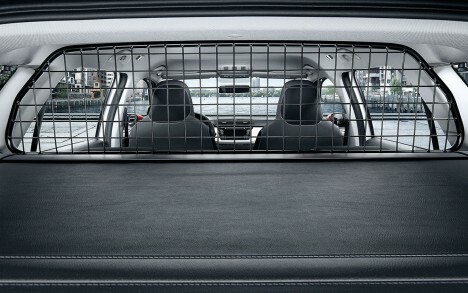 Related offerings include pet grills as well as hammocks to help keep the back of your car cleaner when transporting canine companions. See more in Mods & Custom or under Transportation. August, 2015.